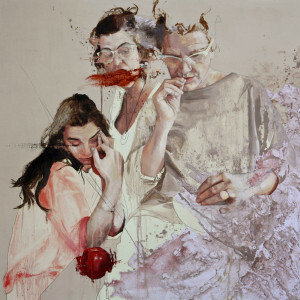 Jessica Rimondi is an Italian artist currently living in Berlin. 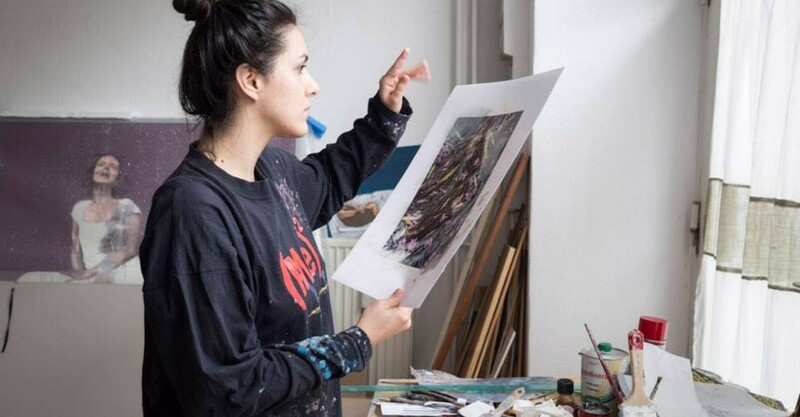 She studied at the Accademia Albertina di Torino in Italy. Jessica elaborates upon seemingly quotidian activities in her paintings, turning small moments into deeper explorations of human emotions, feelings, and memories. 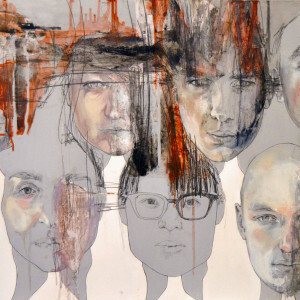 Gesture is at the forefront of her expressive portraits, which are inspired by photographs and works by the Old Masters. Jessica has an extensive international exhibition and awards history. 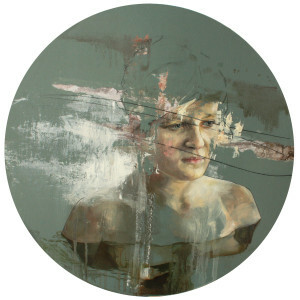 She was shortlisted as one of Beers London’s “100 Painters of Tomorrow” in 2013, and most recently, won the T.I.N.A. Roma prize for the 6 Senso Art Gallery in Rome. The themes I work on are different but always connected. During the last year, I have been working on ordinary situations in life and their connection with the history of works by art masters. I was really keen to keep working on it, as it gave me a new perspective to look at the little things in life. You can read more about my process here. People, their moments, their real lives, their feelings and memories– these are my main attractions. Sometimes I just want to catch a moment and work on its aura, the way it swells in the space, and the reactions and interactions it creates between myself, the people living that moment, and those who will see the painting. Reality is full of things to scrutinize and elaborate upon, which is why I always use it for my observations. Just a few days ago, I was able to look at my work through a different lens. Someone led me to understand the importance of photography in my paintings and investigate what brings me to choose one particular moment over others. Why are moments that could seem banal so important to me? Why do I investigate them? I think the advice to proceed in this process of understanding is really useful at this point in my research. Definitely with music! 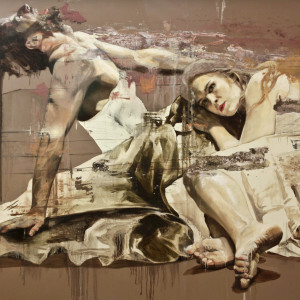 There is a strong bond between paintings, gesture, and music. It´s really difficult to choose a single piece as I’m interested in different artists ranging from Olafur Eliasson to Vincent Van Gogh! I think, at this moment, I would choose Arnulf Ranier’s Müde Pose (Milde) (1973/74). One year ago, it would have been Lucian Freud’s Woman Smiling (1958/59). Stefano Benni, Paulo Coehlo, Carlos Castaneda, and Franz Kafka. But I have to say I create more of a relationship with a single book rather than with an author. I have my favorite books and love to read biographies. For example, I loved Camille Claudel by Anne Delbèe. Then I also have books that I use in a biblical way in order to develop my research. Of these, I think the most important at this moment are Paintings Today by Tony Godfrey, The Artist’s Reality by Mark Rothko and MEMORY – Document of contemporary art edited by Ian Farr.